GULICX is a gemstone powerhouse that is worth checking out if one is on the look for classic and aesthetic earrings. Most of the brand items’ highlights are gemstones that are adorned especially on their earrings and necklaces. There is a variety of styles of gemstones to choose from that are mostly sapphire and emerald. What you’ll definitely love about it: it provides fair priced gemstone jewelries that are within the price range of $10 to $30. What a steal, right? Jared: The Galleria of Jewelry is a brand under the renowned company Signet Jewelers Limited. The jewelry empire, established in 1949, is the world’s largest distributor of diamond jewelry that operates across several countries in North America and the United Kingdom. It specializes in the market of custom-made jewelry. Should you need a one of a kind piece that is yours alone, or a personally designed piece as a gift to your loved one, Jared offers design services that will cater to your personal taste and need. American brand Alex and Ani‘s roots dates back to 2004. This young but established jewelry brand is sought after its light and relaxed jewelry pieces which includes bangle bracelets, necklaces, and earrings that ‘enlighten the mind and empower the spirit.’ Founded by Carolyn Rafaelian from Rhode Island, this rising brand has reportedly made it to the American Annual list Inc. 500 and landed on the 16th spot. If you’re on the hunt for some real good affordable wrist-ornament, Alex and Ani’s bangles designed by Rafaelian herself are available in luxury boutiques like Harvey Nichols and Saks Fifth Avenue. French brand NinaQueen offers an array of dreamlike necklaces, charm beads, and bracelets. Known for their intricate details, their pieces—most especially the pendants—undergo extensive modeling through an enamel process and mosaic art crafted through a microscope. This methodical procedure reportedly takes about 170 hours per charm piece. Another American brand making it to the list is Efy Tal. Named from its creator, the brand’s philosophy is ‘expressing oneself’ through nature’s elements. This is reflected in most of their pieces that draw inspiration from trees, plants, animals, and mountains. Aside from nature-inspired pieces, other expressive designs by brand creator Efy aim to inspire women towards self-empowerment. Some of their bestsellers are the Gold Large Striking Japanese Cherry Blossom Statement Necklace and the Two Tone New Baby Initial Necklace. Celebrated as the number one online jewelry brand in France, Qianse boasts of guilt-free prices and extensive range of styles. The brand is well-known for their crystal jewelry and sterling silver jewelry—all presenting an overwhelming number of designs that will surely cater to plenty of the patrons’ penchants. Aside from basic to the most comprehensive styles, the brand also offers rings, necklaces, and bracelets that are specifically for weddings. 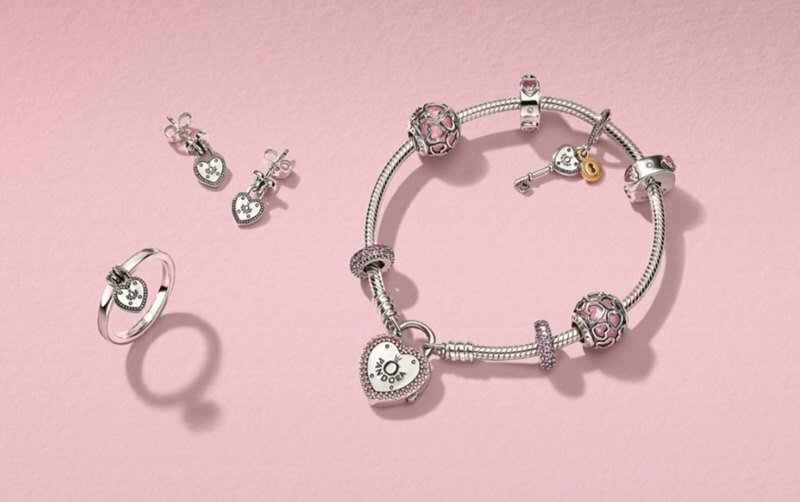 Danish brand Pandora took the internet by storm with its à la mode and modern charm bracelets since 2009. After almost a decade, the indisputable hype surrounding the jewelry company hasn’t died down. It remains a household name in terms of affordability and quality that is vouched by millions of its patrons worldwide. The company’s philosophy is to offer ‘high quality, hand-finished, modern, and genuine jewelry products’ at a lower cost. Currently, the brand has boutiques at over 40 countries and six continents all over the globe. In 2009, it was named as part of the top three jewelry brands in the world. VIKI LYNN provides necklaces with simple yet eye-catching pendants that are suitable for formal occasions as well as everyday wear. One of their bestseller items is the Freshwater Cultured Pearl Necklace Set with Stunning Bracelet and Stud Earrings for Women worth $95.99, that also comes in a leather gift box. This simple but regal pearl necklace and bracelet is an ideal accessory for a classic outfit. Their collection offers more of the same elegant pieces, all perfect to complete a chic or formal get up. Dogeared is an American brand that crafts handmade products through recycled sterling silver. The brand reiterates their commitment to ‘minimize harm to the environment’ through the use of sustainable materials in their jewelry and avoiding the use of plastics in their products. The brand is also proud to share that they are supporting various organizations of different social causes. Their bestseller, ‘Accomplish Magnificent Things Charm Necklace’ impresses an encouraging thought and on optimistic mindset to the wearer. Caperci is distinguished for its wedding jewelry collection, which includes wedding and engagement rings that will make a couple’s remarkable day perfect. The brand offers truly economical choices on rings for men and women; some of them are even below $50. Majority of their design materials, mostly made from sterling silver, are embellished with gorgeous gemstones such as amethyst and sapphire. Aside from rings, they also offer necklaces fitting for weddings and formal occasions that are also great for the budget. If you want classic and elegant jewelry that would not break the bank, Caperci’s pieces are definitely your best options before tying the knot. Jewelry brand Billie Bijoux offers romantic-themed items that can be handed as presents for women. Billie Bijoux offers to customers wrist bracelets, anklet bracelets, and necklaces ornamented with symbols of infinity and heart. One of their hit products is the Billie Bijoux Women’s 925 Sterling Silver Infinity Endless Love Symbol Charm Adjustable Anklet Bracelet, a charm bracelet that is guaranteed made from 925 sterling silver and white cubic zirconia. 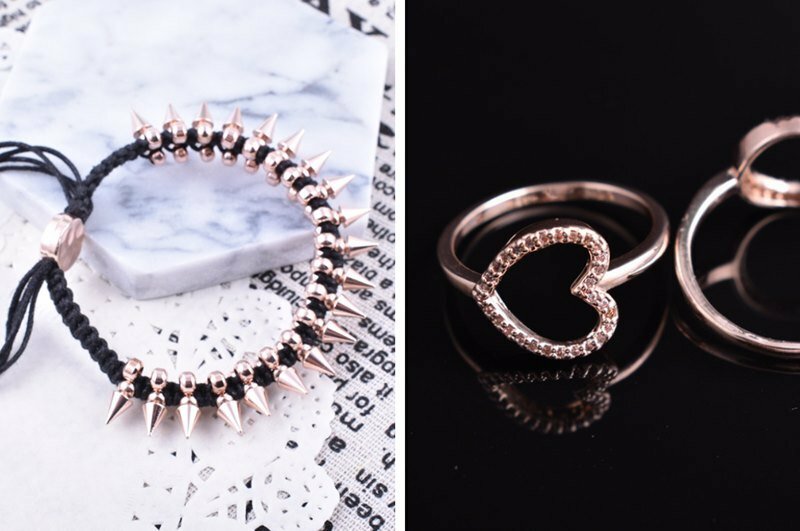 Quan is an American jewelry brand that crafts inspiring and expressive jewelry that has been favored by the young population. 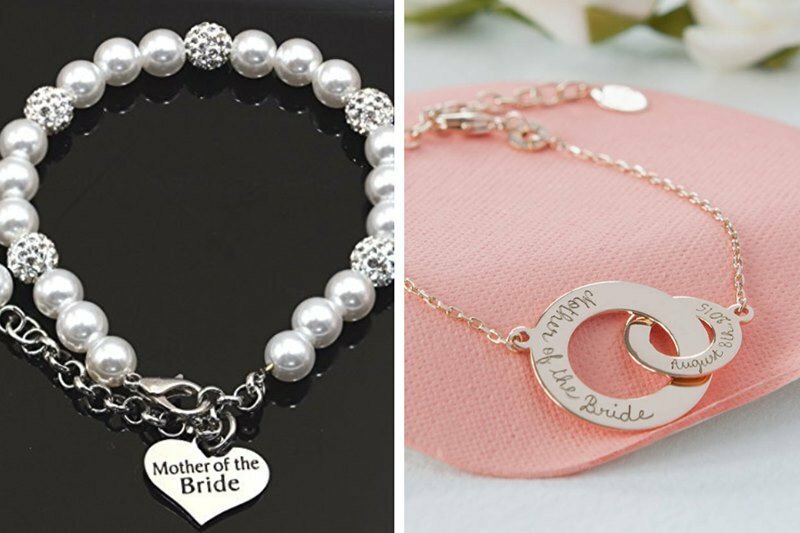 Their necklaces and bracelets are well-known for being adorned with motivating and intimate messages and quotes. In fact, the brand has been featured in several online sites such as Buzzfeed. In line with their belief of sharing ‘words left unspoken and too many good emotions left unshared’, the company houses their jewelry in cards with heartfelt messages. Quan is certainly the jewelry brand to go when looking for perfect gifts for family, friends, colleagues, and more. Romantic pieces never grow old. AOBOCO offers lovely and sweet earrings and necklaces that are ideal to gift to one’s significant other. Necklaces with heart pendants are some of the best products of AOBOCO, truly sweet pieces that capture emotions of the giver towards the person the jewelry is given to. Their bestseller I Love You Forever Sterling Silver Heart Pendant Necklace with Swarovski Crystals only retails for $35.99, an absolute good deal for a hypoallergenic necklace that also comes in a package with a gift box. Elda&Co provides an accessible source for those who are in the search of perfect anniversary or birthday presents. This brand solely offers necklaces with assorted pendants and lengths. Most of the necklaces are according to the occasion which it will be given, as exemplified by some of their bestselling products, which are the Birthday Gift for Her Emerald May Birthstone Necklace Sterling Silver Swarovski and I Love You Mom Jewelry Heart Necklace Birthday Gift Sterling Silver Diamond Swarovski. GEMSME offers jewelry with a gemstone theme glistening in light blue and pink hues. These millennial tones meshed together creates a simple yet aesthetic combination. 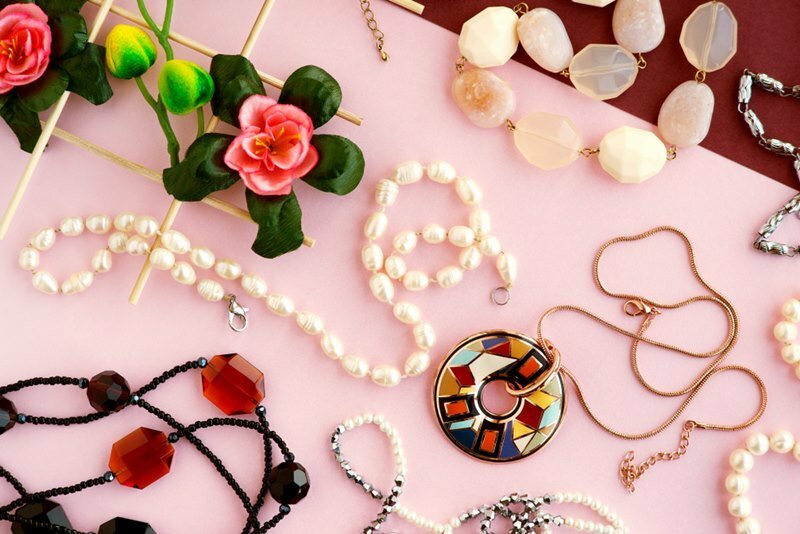 Nearly all of this jewelry company’s items sport charming and subtle designs that are quintessential to any woman’s jewelry trove. What we love most about their pieces are the captivating sparkle in the gems added to their pieces, as if inviting everyone to gaze at their beaauty. 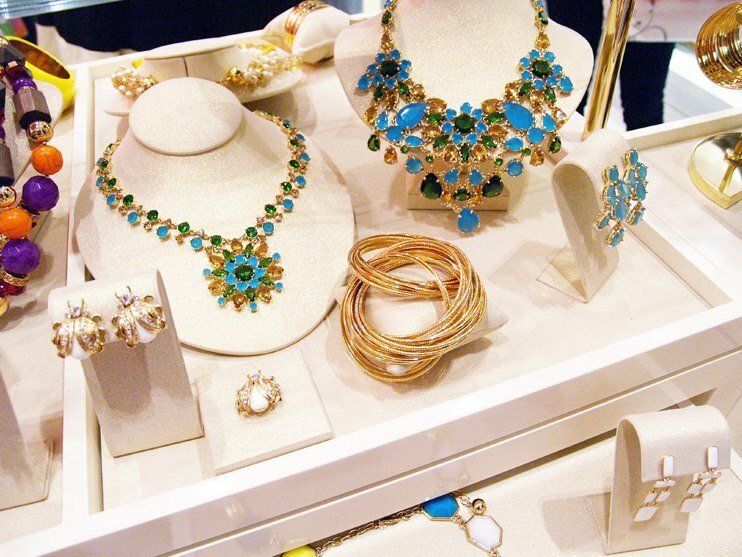 Kate Spade is not only recognized for sophisticated handbags but also for jewelry. It is only a given, since its founder, Kate Brosnahan Spade was a former accessories editor. The company features contemporary and graphic jewelry items including rings, bracelets, necklaces, and personalized jewelries. It also consistently embodies the same ‘fresh and modern sensibility’ in their jewelries. A proof of this is the brand’s wow!jewelry line, which highlights a playful but chic aspect of the brand. With such fresh concepts, the business continues to thrive with their in vogue appeal across the international market, with over 175 shops all over the world. Another French brand that has been making rounds online is Lady Colour. The items of the company are specifically designed and made in France, made in partnership with French brand Nina. Crystal jewelry is the centerpiece of the brand’s products, as most of them are made from Swarovski crystals. Nearly all of the brand’s necklaces and bracelets accentuate an elegant and enduring theme but the quality does not also disappoint. Lady Colour assures its customers that they use the highest plating standards that does not fade. Long Way is a store to go for elegant but reasonably priced rings, necklaces, and bracelets. 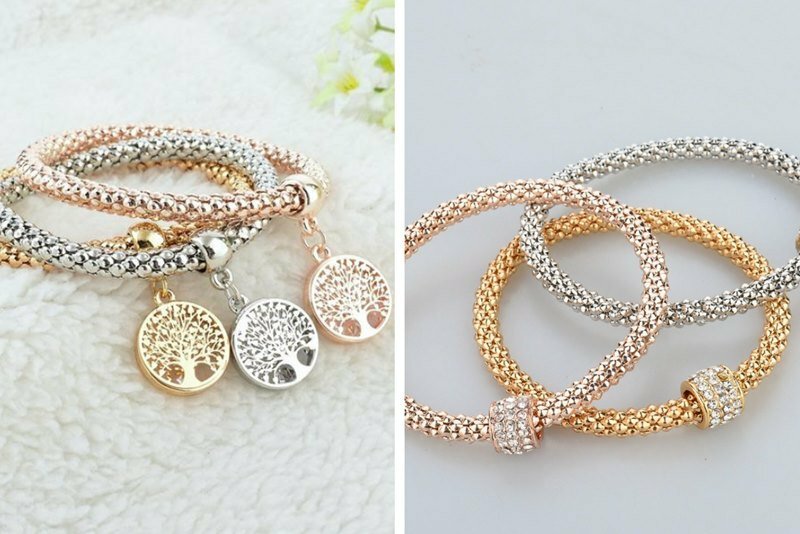 Most of the brand’s items offer a range of patterns, designs, and materials; and their colors range from silver to gold and rosegold. However, the brand’s earrings offer neutral choices of color and distinct patterns that are suited for formal occasions and events. Some of their jewelry, like the Long Way Women 8 Row Silver-Tone Clear Rhinestone Stretch Bridal Crystal Elastic Bracelet, are perfect wedding accessories to adorn the beautiful bride or any of member of the entourage. Not only are they gorgeous, but they capture the classy trend among bridal jewelry nowadays, for just a fraction of the price. LParkin is another brand that adorns words, quotes, and lines that uplifts the wearer’s spirits. There is a variety to choose from—not just for basic jewelry, but also keychains and pendants. The company also offers pencil cases and pouches with charming details and patterns of animals as well as motivating quotes. Their cute pieces are ideal as gifts, especially to younger ages that enjoy fun designs, clean doodles, and even lovely charms that add character—as sweet one—to every piece designed with them. The origin of Ross-Simons dates back to 1952 in Providence, Rhode Island, USA. From its birth to its continuous expansion in the American soil, the jewelry company gradually expanded to selling across the world. From casual to bold motifs, Ross-Simons provides ideal selections for all types of occasions. Some of their bestsellers are the emerald drop earrings in sterling silver that only retail for $105. Its success in the low-priced jewelry category earned it a lot of achievements, the most recent one is its upcoming collabortion with American skiing star and Olympic Gold medalist, Jessie Diggins. 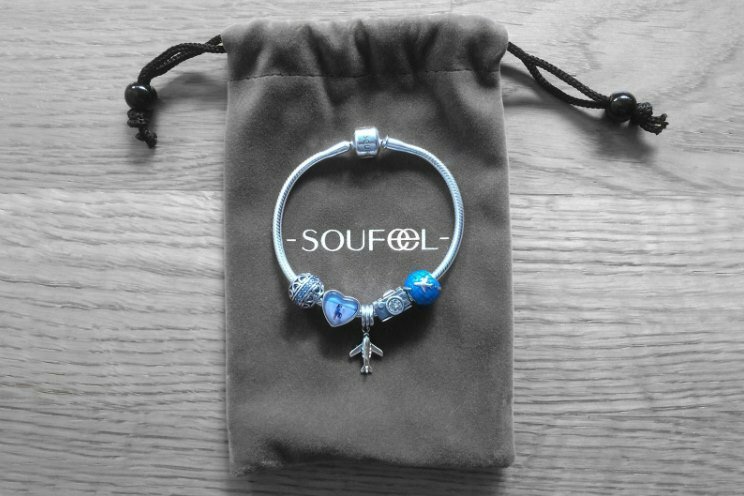 Soufeel hails from Big Apple of the United States, and was established in 2009. 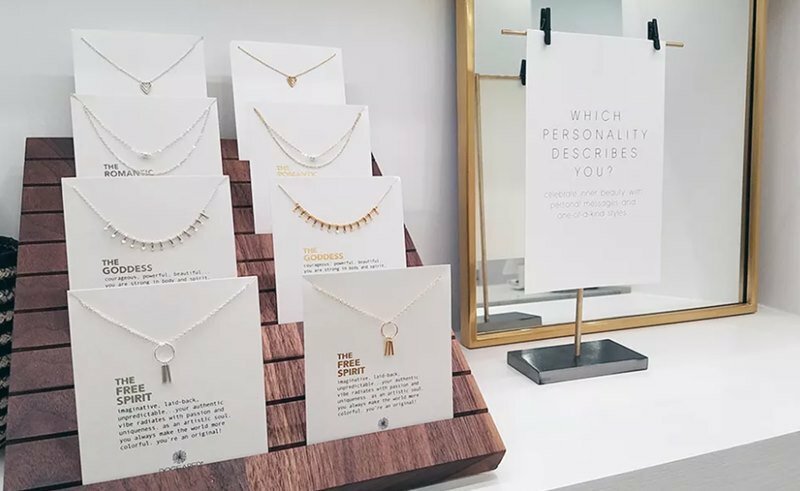 This burgeoning jewelry business focuses on crafting customized necklaces, rings, and bracelets through engraving names and lines as well as attaching a picture of a loved one as a pendant. 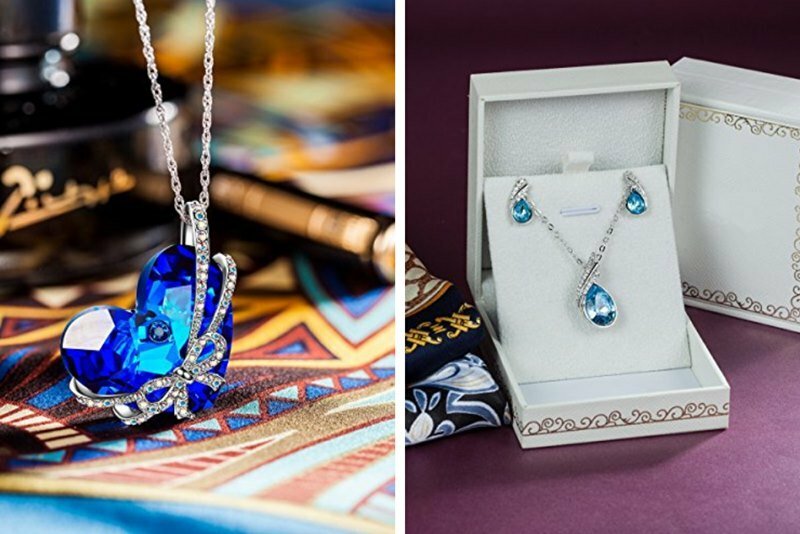 Designers Moly Descher and Carol Koch, who are established in the jewelry design industry, are the driving force behind the company’s glistening trinkets. Koch says that she draws her inspiration in creating their products from the busy city of New York itself. See? 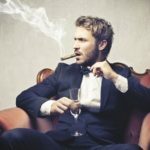 Buying jewelry for yourself and even for others doesn’t always have to be an intimidting and fund-draining experience. That’s the thing about jewelry—despite its glamorous and elegant look, people from all walks of life can enjoy them. But such can only be feasible if you know the right brands to look for. We hope we’ve helped you out with this starter list that will make you enjoy collecting jewelry pieces even more. Not only do these brand accommodate your humble budget, but lets you choose and purchase items right from the comfort of your own home.